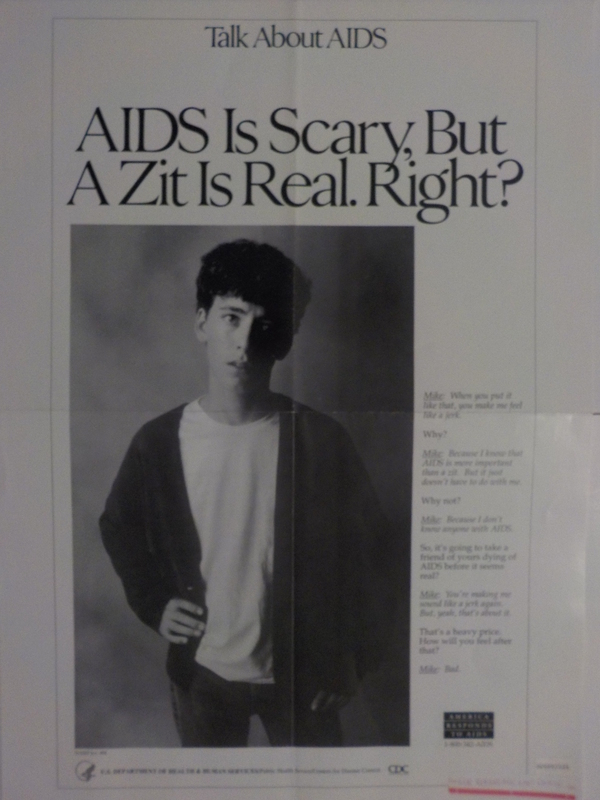 AIDS is scary but a zit is real. Right? "Mike" dialogue. Hand on hip white teenager boy. Order number: P058. CDC National AIDS Clearinghouse, Catalog of HIV and AIDS education and prevention materials September 1994, p. 19. "Featuring a white male tean, this poster stresses AIDS awareness."